Big power is prerequisite for an SRT and the 300 is no exception with an adrenaline-pumping 350 kW of power 637 Nm of torque. 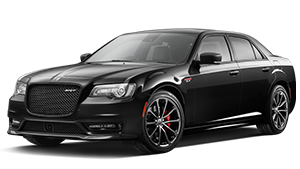 The legendary 6.4L HEMI V8 delivers aggressive acceleration and straight-line performance that belies the sophisticated luxury and comfort of the 300 SRT. The powerful HEMI power plant is hidden behind a bold grille finished with gloss black grid work. An SRT fascia extends a more planted look from the front whilst the rear is finished with four inch round exhaust tips and an integrated rear deck lid spoiler for an upscale athleticism. 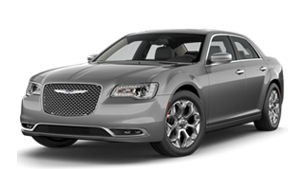 The SRT cabin is the perfect balance of luxurious appointments and performance-focused ergonomics. Aggressively bolstered SRT seating keeps occupants firmly in place and comfortable, whilst a leather-wrapped flat-bottom SRT steering wheel provides drivers with an upscale, functional tool. SRT Launch Control is carefully calibrated to mitigate wheel spin during launch situations and improve straight-line acceleration. Drivers can activate the launch control system and pre-set launch RPM through SRT Performance Pages.